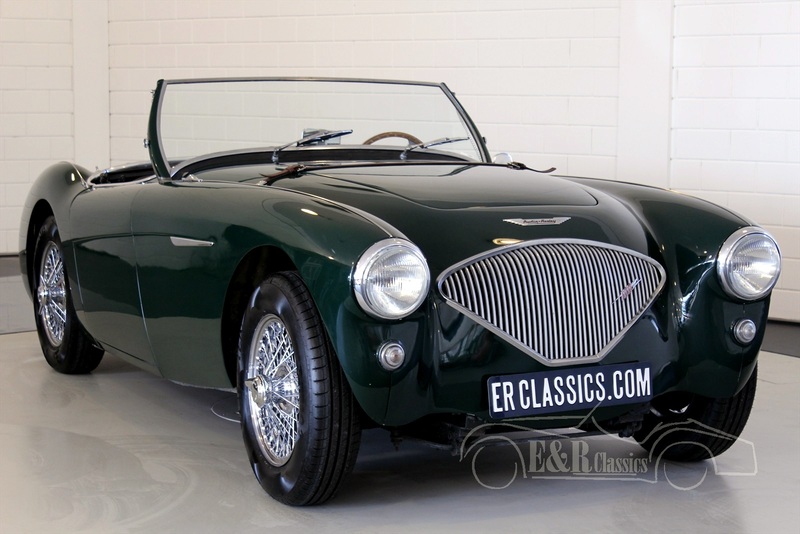 Austin Healey 100-4 For Sale at E & R Classic Cars! As Donald Healey began looking for ways to expand his business in 1952, Leonard Lord (of the British Motor Corporation’s Austin division) was searching for a way to spruce up his line. 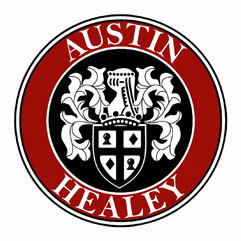 The name Austin Healey was born when Leonard Lord saw that Donald Healey’s prototype car at the London Motor Show was based off the Austin A90 design. The original A90 prototype eventually became the Austin Healey 100/4, a clean and affordable sporty car. American enthusiasts were quick to support this car, firmly establishing Austin-Healey’s reputation. There were 4 distinct variations of the 4 cylinder Austin Healey. The original car known as the BN1, built until the autumn of 1955. he BN2, built the following year, which gained a new four-speed gearbox (still with overdrive). From 1954 to 1955, the Healey company developed and further refined a racing BN1, called the 100S (S for Sebring), which featured a stripped all-aluminum body sans bumpers and had a modified 132-bhp engine. There were also 1159 units built known as the 100M, a BN2 conversion with 110 bhp, duo-tone paint, and assorted body and chassis modifications. Buying a Austin Healey 100/4? The Healey 100 succeeded in establishing a fine reputation very quickly, especially in the USA. In fact, most of the more than 14.000 BN1s and BN2s built were sold in America. What are the advantages of buying a Austin Healey 100-4 car at ER Classics?